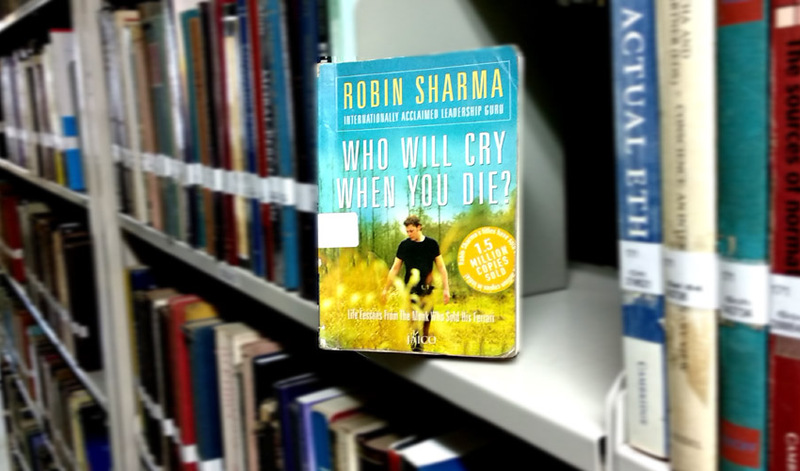 Last week, I completed this wonderful book named ‘Who will cry when you die’ by Robin Sharma. The book is famous among frequent readers and has inspired millions of people in the world. Now that I have read it, I regret for not picking it up in early stages of my life. It reminded me of my colleague and friend from VIT, Pune, Ms. Pallavi Sandav who used to read lot of books at that time. She used to be so positive, energetic and fulfilled in every moment of her life. The book has all the life-changing thoughts and daily dose everyone needs for quality life. Forgiving someone who has wronged you is actually a selfish act rather than a selfless one. You will never be able to eliminate a weakness you don’t even know about. The first step to eliminating a negative habit is to become aware of it. Anyone can become angry — that’s easy. But to be angry with the right person, to the right degree, at the right time, for the right purpose, and in the right way — that is not easy,” taught Aristotle. who cares what others think when you know that what you are doing is the right thing to do. We see the world, not as it is but as we are. We have two ears and one mouth for a reason: to listen twice as much as we speak. The first step to eliminating a negative habit is to become aware of it. We all have a deep-seated need to feel important. The smallest of actions is always better than the boldest of intentions. Don’t rehearse the activities of your day while you are lying in bed trying to get to sleep. Don’t eat after 8 P.M. (If you have to eat something, have soup.) Don’t watch the news before you go to sleep. Don’t read in bed. Would you really want to live in a world where everyone looked, acted and thought exactly as you do? If you are feeling low or lost, pick up this book. It just gives gives you a huge push to live your life as perfect as you wish!! !